SES Ltd first introduced High Definition Surveying (HDS) as a service to our clients in 2004, and since then the demand for laser scanning has increased substantially. We have been involved in many innovative projects throughout the UK and are well experienced in surveying elevations, facades, topography, as-builts and engineering structures using High Definition Laser Scanners. The HDS system consists of a portable 3D laser scanner which supports standard surveying procedures, such as instrument setup over a known point, height-of-instrument measurement, and instrument orientation. Any exposed surface can be remotely captured in minutes to form a dense and accurate 3D point cloud. Undoubtedly the amount of detail that the Laser Scanner obtains is a direct benefit to the Project's Designers. 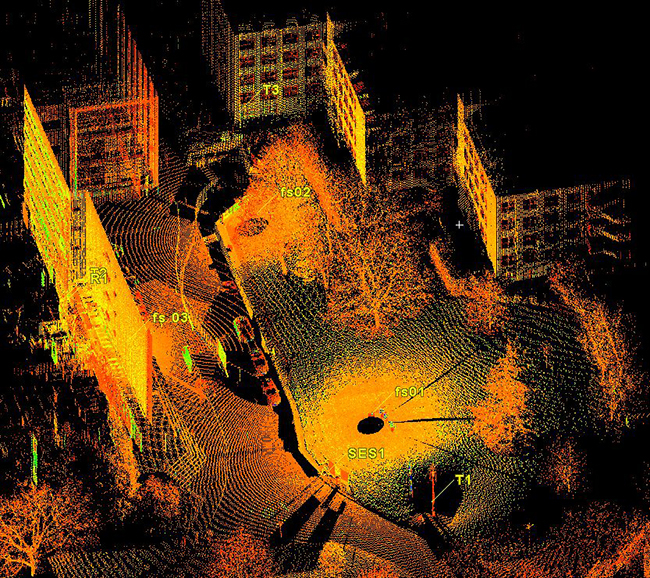 With a scan rate of 50,000 points per second, HDS can cover a larger area in significantly less time and to greater detail than conventional survey techniques. The resulting data allows us to extract more as-built information than before, ensuring confidence within the design team. From a safety point of view the instrument can be set up remotely, avoiding obstructions or hazards. As it uses a non-contact (class 3R laser) survey technique it is ideal for surveying inaccessible and potentially hazardous areas e.g. public roads, rail, high rise and general public areas. 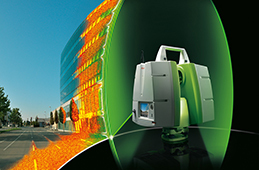 The latest Leica Laser Scanners are versatile, multi-purpose scanners that combine high efficiency with high accuracy for a broad range of civil engineering, plant and building projects. At the forefront of innovation in surveying, SES continues to harness the latest technology for the benefit of our clients in providing solutions to any surveying requirement. A Laser Scan can be commissioned before work begins on site to assist with logistics. 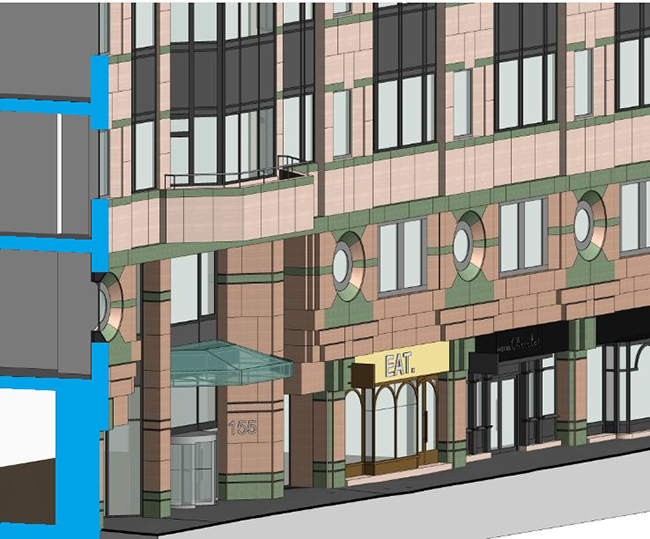 This allows design team to obtain crucial dimensions and adjacent building heights for planning purposes, etc. Using Leica's TruView software, all this info can be easily accessed by all parties within a few days from completing the survey. Using the free Leica TruView panoramic point cloud viewer, users can view point clouds and extract 3D coordinates or distances. Results appear right on the point cloud image. Mark-up tools are also available and easy to share with your team. From TruView the design team can prioritise which areas are required and which areas need to be drawn up. This approach eliminates wasted time drafting elements which are not necessary. A whole range of deliverables can be produced from the 3D point clouds: from 2D plans, Elevations, Sections to complicated 3D Models/Visualisations. 3D point cloud information can be imported into various software packages. The UK Government requires the use of Building Information Modelling (BIM) on its projects by 2016. 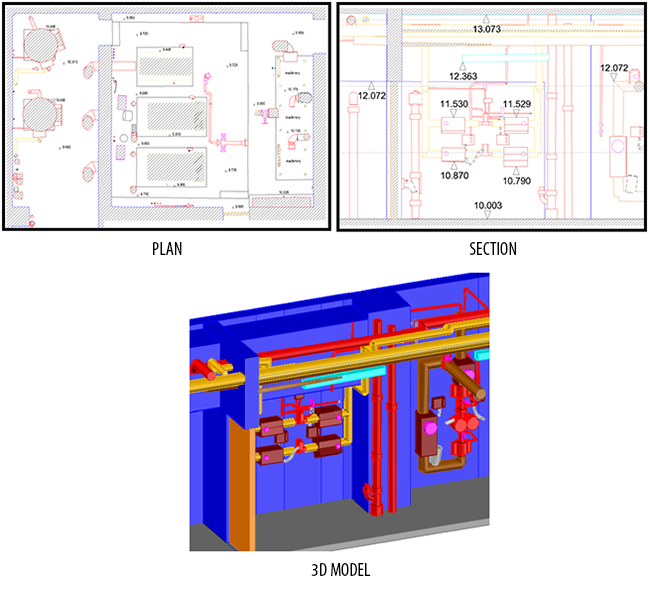 SES Ltd is using the latest technology and software to provide our Clients with accurate 3D models. Level of Details (LOD) required is discussed carefully prior to commissioning the survey, to ensure that survey data can be utilised in the whole design, construction and maintenance process. 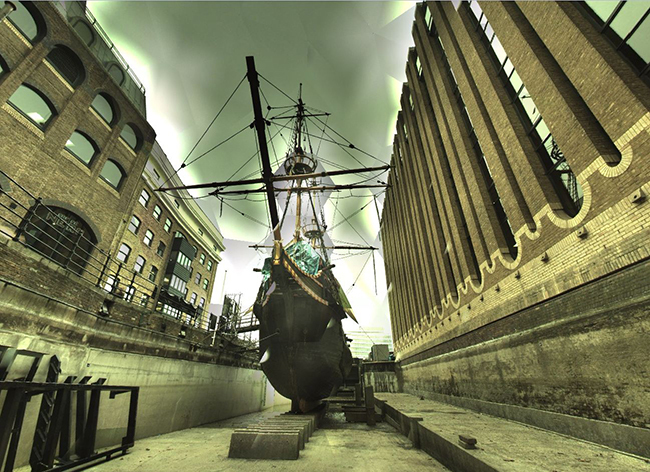 Laser scanning can also be used for record purposes or simply as a help for your Facility Management team. It offers constant access to all areas in your building. Saves time and allows investigating the site without interrupting your everyday activities. Records the site conditions at the time of the survey - All info from site available to extract any additional details required in the design process.